This post features some terrific images of Mulga Snakes from western Queensland, all taken by Lindsay Muller. 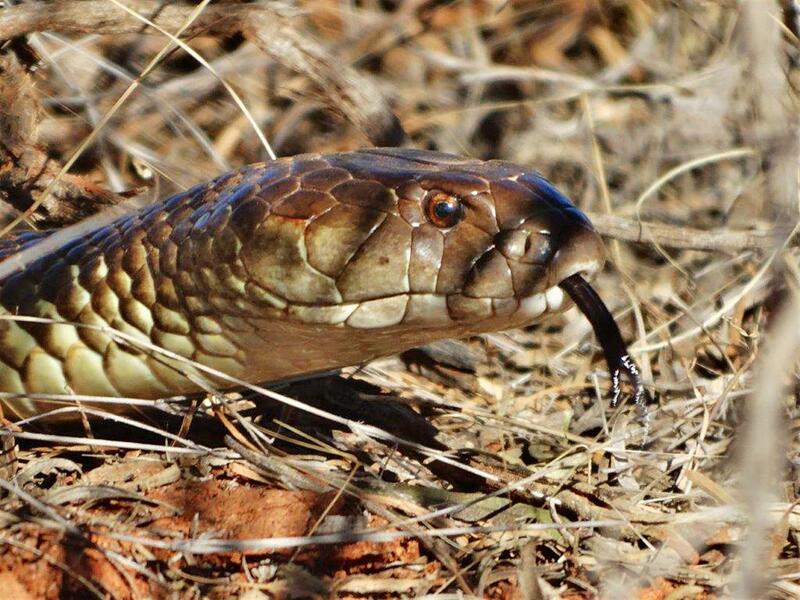 An intense and wary gaze — Mulga Snake on the move. Photo by Lindsay Muller. The Mulga Snake (Pseudechis australis) is one of seven species of snake in the genus Pseudechis, widely known as the ‘black snakes’. This is an odd name for the group, as just one species is always black. Spot the snake? 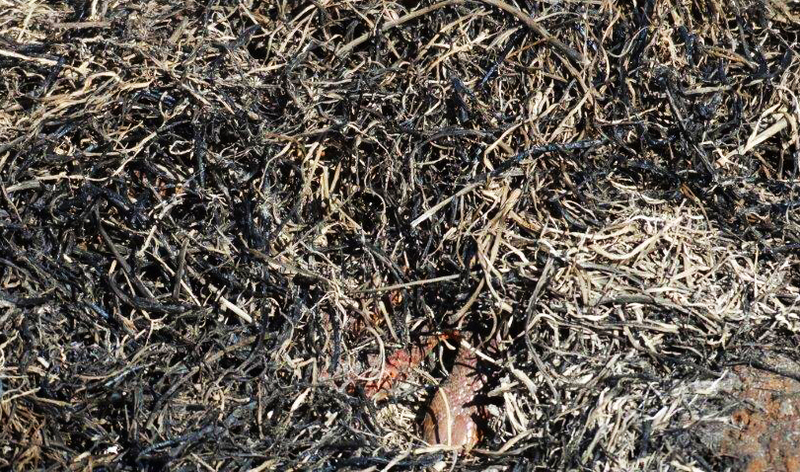 A Mulga Snake, also known as a King Brown, hides beneath the ashes of a recent fire. Photo Lindsay Muller. A blur of sudden colour — snake on the move to safer places. Photo Lindsay Muller. “The Mulga Snake (Pseudechis australis), also known as the King Brown Snake, is poorly named, as the Mulga (Acacia aneura) forms only part of its vast distribution and individuals are not always brown. 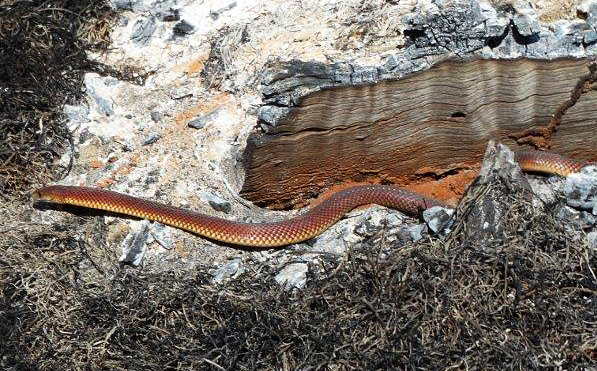 This extremely variable snake, ranging from yellowish brown or reddish brown to dark olive, has a reticulated pattern formed by dark-edged scales. It is the largest and most widespread species within the group, occurring across most of mainland Australia except the more humid eastern and southern regions. — Gerry Swan and Steve Wilson, What Snake Is That? I have unfortunately never seen a live Mulga Snake, just haven’t been out west enough I guess. Here’s the closest I’ve come to one — a shed skin on a rock outcrop on the Hood Range in western Queensland. A magic place, made all the more so by the presence of such marvellous reptiles. A shed Mulga Snake skin, western Queensland. Photo R. Ashdown. 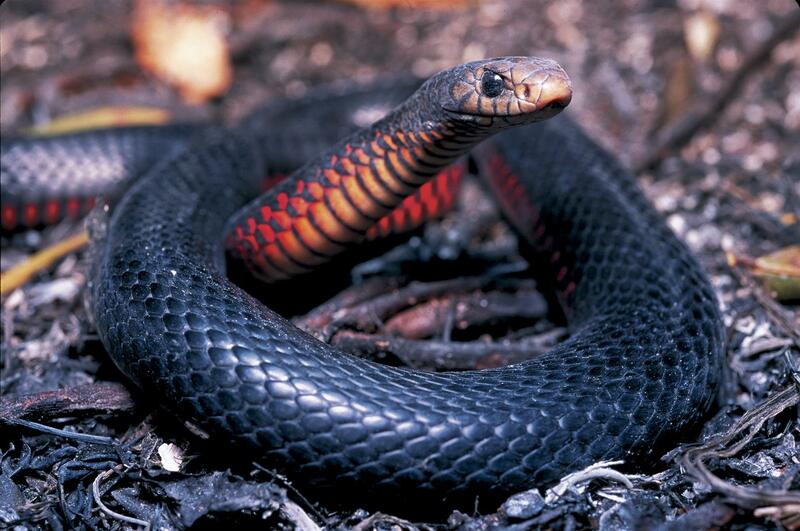 Another member of the Black Snake family, the more appropriately-named Red-bellied Black Snake (Pseudechis porphyriacus), is surely one of Australia’s most beautifully-coloured animals. It’s my favourite Australian critter (well, after my dog, but she’s not native and she’s not wildlife by any stretch). Red-bellied Black Snake, Lota, Brisbane. 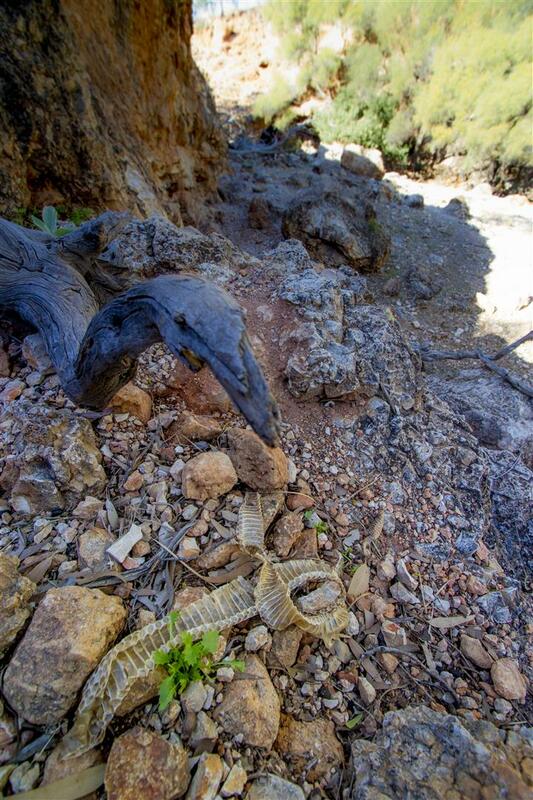 Like Lindsay, I photographed this particular snake after a fire had passed through some bushland. Photo R. Ashdown. This entry was posted on August 11, 2014 by Robert Ashdown.